Using a Samsung Gear S3 with iPhone — what are the differences to the Apple Watch? A while ago, Samsung made its Samsung Gear S and Samsung Gear Fit apps available on Apple's App Store. Ergo, users were now able to sync their iPhone with Samsung's smartwatches! It's a bit unusual for Apple's ecosystem to be somewhat lax with allowing competitor devices onboard, but let's not forget that smartwatches are pretty much Bluetooth accessories — like fitness trackers, selfie sticks, and wireless earphones. Thankfully, none of these are restricted on the iPhone, so users have a bit of a choice with accessorizing. If you own an iPhone and are feeling tempted by the Gear S3's circular design, bulky appearance, rotating bezel, and awesome battery life, you might be wondering “What's the catch?”. Does the Gear S3 have limited functionality when synced to iOS and what do you stand to gain or lose in terms of functionality if you choose a Samsung smartwatch instead of Apple's own Watch? Well, we are here to explore that. Let's jump straight in! 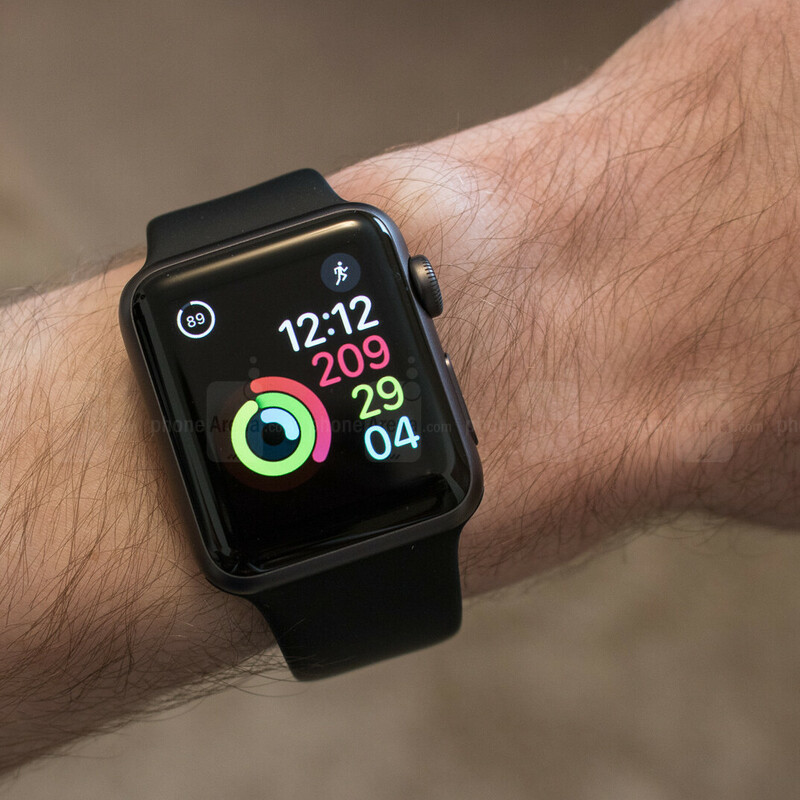 The Apple Watch aims to incentivize its users to move more with the so-called Activity rings. A trio of circles, visible on both the iPhone and Watch, that symbolize time standing, active exercise, and calories burned. Performing your daily routine “fills” the rings with color. Each day the rings reset and each day the Watch reminds you that you need to move more if you are to reach your goals consistently. Naturally, when you stop using the Apple Watch, you won't be able to fill the rings. The Activity app on the iPhone does not work with any other accessory, so it won't get any readings from your Gear S of choice. What about the Apple Health app? No dice — while Apple Health does play nice with some fitness trackers out there, Sammy's Gear S is definitely off its list of data sources. Don't fret, though. Within the Samsung Gear S app, you get an iOS version of Samsung Health — Sammy's own fitness-tracking app. Here, your Gear S watch will record readings, such as steps, floors climbed, water and caffeine intake (if you punch them in manually on the watch), heart rate (tracks automatically), as well as your various exercise times. And one big one — sleep! Yeah, curiously enough, Apple's Watch still doesn't track sleep natively — you need to fiddle with 3rd party apps and find the one that works well. Samsung's fitness trackers, however, have had sleep tracking for a while, and the feature has migrated up to the latest Gear S3. One small issue is you'd have to sleep with the rather bulky watch on your hand. But hey, if you are a Gear S2 user, you'll be good! On to the finer details — both sides (Apple Activity and Samsung Health) offer their versions of achievements and both will nudge you when they sense you've been stationary for a bit too long. Both have customizable goals and recommended defaults, so you won't be losing out on that “personal nagging trainer” feeling. 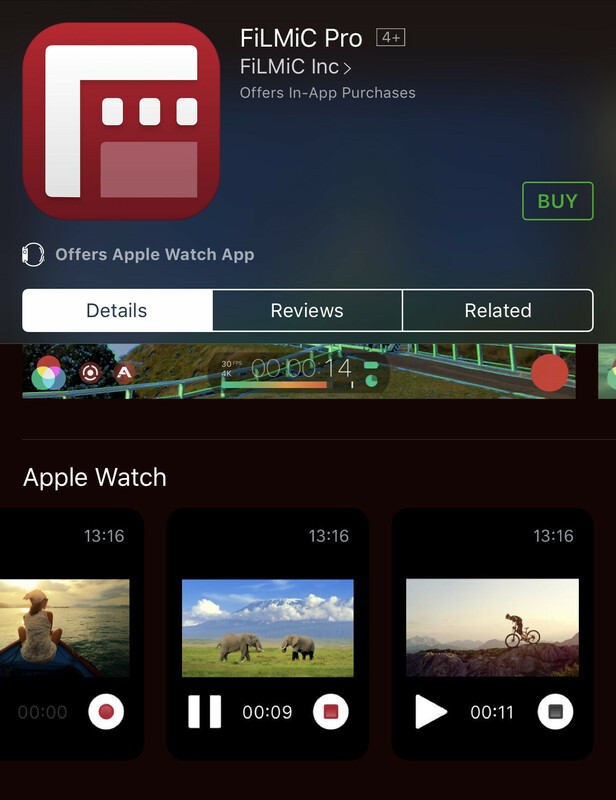 Apple allows its app developers to make Watch extensions for all their apps. Your Apple watch can act as an extension of your phone — a remote shutter for camera apps, a remote to add or snooze reminders, initiate navigation, and so on. It also has expanded system functionality, such as actionable notifications — you can reply to chats from the Watch via pre-made quick replies or the Scribble feature, if you insist on typing something out. This link between iPhone and Watch makes the latter feel like a part of the ecosystem instead of a glorified fitness tracker. Now, if you pair a Samsung Gear S3 to an iPhone, you will still get all your notifications just fine on the watch. But you won't be able to do much besides read and dismiss them. Thankfully, you can still answer voice calls on the Gear S3 and use its internal speaker / microphone combo if it tickles your fancy. Needless to say, however, Digitial Touch, tapping, or sending your heartbeat to other Apple Watch owners is off the table. As for apps, you have access to the Samsung Galaxy store through the Gear S app. These are autonomous apps for the Gear S3, meaning they will do nothing for your iPhone and will live strictly on the Gear S. They can be calculators, reminder diaries, various fitness apps, et cetera. So, in terms of software, the Gear S is pretty much a device separate from the iPhone. Disappointingly, however, the apps and watchfaces that you get on the Galaxy Store for iOS are very, very limited. 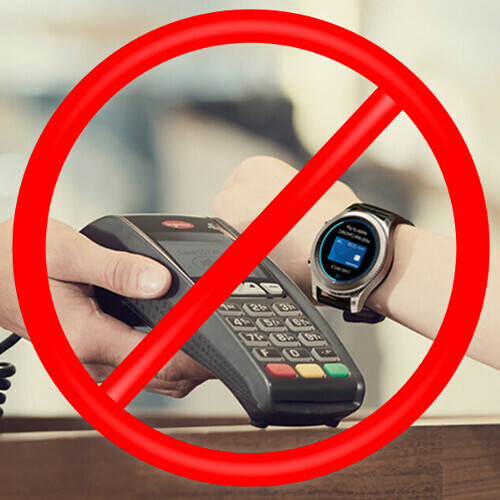 Needless to say, if you are invested in the Apple Pay system, you won't be able to perform mobile payments by swiping your Samsung Gear S3 through a POS terminal. However, the bad news is that you won't be able to use Samsung Pay with the watch as well. If you choose to use a Gear S2 or S3 instead of an Apple Watch, you pretty much forgo mobile payment support on your wearable. The connection between an Apple Watch and an iPhone is pretty amazing. We've been able to get notifications on it when the paired phone is 2 rooms away or even 3 floors up in our office building. Of course, it's not a consistent connection under those conditions, but such occurrences testify to the ability of the iPhone and Watch to find each other and connect super fast over the weakest of signals. Pairing with the Gear S3 is hardly as good. Samsung does warn users that they should keep the Samsung Gear S app open in the background at all times lest they want to lose sync between their phone and watch. If you happen to separate the two (leave the room with your phone inside) for a while, they might just choose to not re-connect to each other until you manually open the iPhone's Bluetooth menu in Settings and tap on the Gear S3. Sometimes, it's even more fiddly, requiring you to close and re-open the Gear S app. The iPhone does like to cut off battery-draining connections when it's in standby and we've dealt with such behavior from iOS many a time. It's hardly a deal-breaker, but it definitely detracts from the Gear S3's premium smartwatch experience when it happens. Both the Apple Watch and Gear S3 can connect to Wi-Fi on their own and should work for chats autonomously, without needing to go through your phone first. However, the Gear S3 has an LTE variant and can house a SIM card for its own cellular connectivity. Basically, you can go out for a jog with your watch only and still be fully connected to the world. So, is it worth going for a Samsung Gear S smartwatch instead of an Apple Watch? We'd say it doesn't hurt too much. The Apple Watch has useful message reply features, has great implementations with the iPhone's app ecosystem, supports Apple Pay, and is a direct source for Apple Health, if that's the platform you are invested in. The Samsung Gear S3 has its own Samsung Health app, which tracks pretty much the same stuff as the Apple one plus sleep, but doesn't let you do anything with the notifications besides view them, and only works with its own apps, separate from the iPhone's apps. Pairing is not as fluid and connectivity is sometimes an annoyance to restore. On the flip side, however, you get a 3-day (on average) battery life, which is quite something for a smartwatch! Bottom line: if you want the full Apple experience and want your watch to work as an extension of the smartphone, the Apple Watch is the go-to choice. 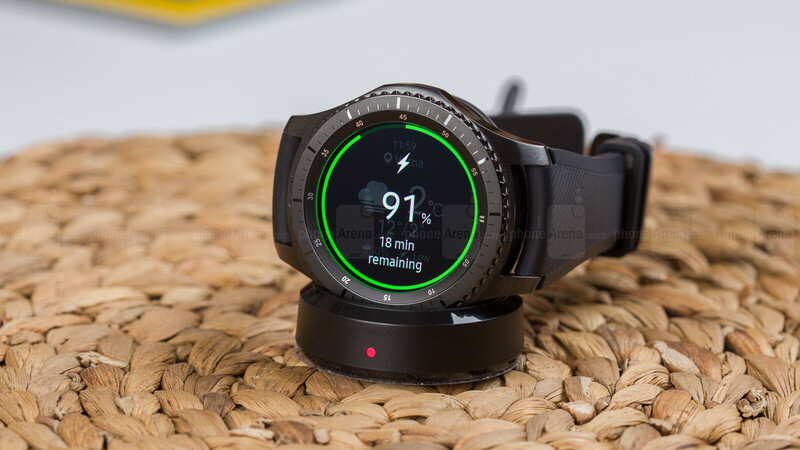 If you want a device that enables you to leave your iPhone behind when going for a workout and still retain full connection to the world, the Gear S3 offers that. I'm using a Gear S3 with an iPhone 7 right now and honestly the only thing I miss is quick replies for text messages. Everything else is largely the same for my use as when I have it paired to an Android device. Products are always better when you keep it in the family. I just picked up a Gear S3 Frontier (non-LTE version) and am trying to use it with my iPhone 7. Notices come through, but there's no email or text app on the watch, and neither emails or texts come through to the watch. There is also no option to set up Samsung Pay on the Gear app (one of the main reasons I wanted the watch). Am I missing something, or does text and email forwarding and Samsung Pay require an LTE version? It was an ok experience for me, but the GS3 does too much to be paired with an iPhone. It's severely limited when done. lol ... yes you can not use NFC for it. Even though you can't use Samsung Pay through IOS, you can use it directly from the watch itself. You just have to disconnect it from the iPhone. Syncing the Gear to IOS is B.S., because Apple wanted to make sure that because the Gear S2/3 are better than what POS Apple is offering, they wanted to make sure it was handicapped to a point the Gear S does far less than Apple's own garbage. After just a few days, I stopped trying to use my Gear S3 with my 7+. iOS wouldn't even sync the frikkin weather widget I had, even though it had the switch for it in the Gear App. It simply would not work. I know Samsung wanted to hopefully bring Gear to IOS and have it as a purchase option, but Apple locked it down to make sure Samsung had no upper hand. Even Android Wear options don't work with iOS like it does on Android. Apple and their typical BS. Gotta agree with you on this one. I have the S2 and it barely paired with my 6S+. You need the LE for voice & SMS but also need the GATT profile for syncing email, etc. Messaging is a wasted effort since iMessaging refuses to play nice with anything other than iOS. The Apple Watch is useless because it mutes notifications on the iPhone and the watch is barely audible - meaning you miss calls unless you're in a library. Doesn't the Apple Watch use harptic feedback to notify of calls and messages? I kind of wish there was a feature list vs. phone device. I originally had my Gear S2 linked to my LG G2 phone. (this was until March'2016) Once I got a Galaxy device, a bunch of new features started working or worked better. I would just like to see a chart. Side by side the Gear looks so much better than an Apple Watch. Apple need to drastically improve their design. Hello All ! I am looking to paring the S3 with iphone 7. I am really breaking my head over it. I have couple of question if you guys can answers it would be of great help, 1) Do i get all notifications ? Like whatsapp, google map , fb ? 2) can i use gear GPS standalone when connected to iphone? 3) Is there a forum we can follow to get the Tizen OS upcoming improvement wrt to ios ?